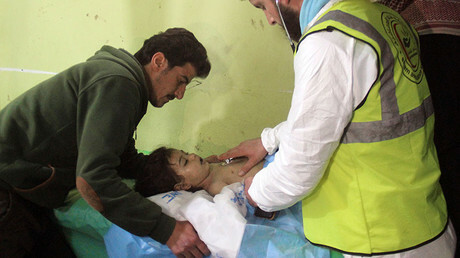 International experts have failed to meet the high standards of the Chemical Weapons Convention (CWC) while probing the alleged use of chemical weapons in Syria, Russia has said, adding that their new report is riddled with discrepancies and speculation. The latest, seventh report on the joint work of UN and Organization for the Prohibition of Chemical Weapons (OPCW) representatives in Syria has some serious flaws that show "the investigation has been conducted with gross deviations from the high CWC standards," Moscow said. 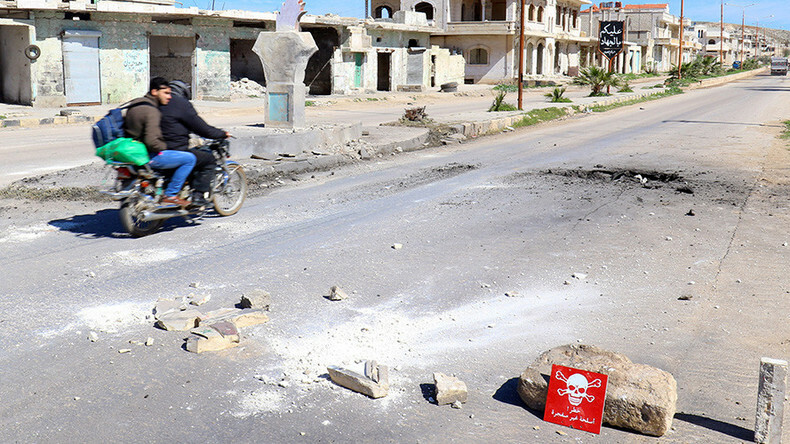 The UN-OPCW Joint Investigative Mechanism (JIM), which has been probing the alleged chemical weapons attack on the Syrian town of Khan Sheikhoun on April 4, has failed to use all available methods of investigation, according to the Russian side. It relied on statements from questionable witnesses, as well as demonstrated "non-observance of chain of custody," Moscow said in its preliminary assessment, provided to the UN Security Council (UNSC) and the General Assembly. "A thorough reading of the report shows it to hardly be professionally prepared. It is rather amateurish and is generally based on speculations and selective use of facts," the official statement said. The JIM experts have been working in Syria for months investigating the alleged sarin gas attack in the Idlib governorate, which is believed to have claimed the lives of up to 100 civilians. Back in April, Washington has immediately blamed the Khan Sheikhoun incident on the Syrian government, saying the alleged weapon has been dropped by a Syrian warplane. The US launched Tomahawk missiles at Syria's Shayrat Airbase in response. The UN-OPCW mission has apparently from the very beginning adopted an aerial attack as the main theory behind the incident, Moscow said, adding that other claims suggesting it might have been staged were "ignored." While international experts have failed to establish facts without a delay shortly after the incident, they then relied on "some anonymous 'independent' institutes and experts," as well as on "so-called material evidence" that they received from opposition forces and affiliated non-governmental organizations. The authors of the report suggest that samples taken in Khan Sheikhoun contain "specific substances" allegedly used solely by the Syrian military. However, they failed to take into consideration that Damascus has long unveiled its technologies to OPCW, so they are no longer a secret and the alleged "Syrian sarin" could have been produced anywhere, Russia's assessment stated. "It's worth noticing that [some] of the sarin precursors taken from Syria have been destroyed at a specialized American Cape Ray ship in the Mediterranean," Russia’s UN statement said. The JIM experts have also found a number of inconsistencies in the alleged chemical attack claims, which rather support the staged incident version, but failed to look into those properly. Investigators established that 57 out of 247 of those who applied for medical help with alleged sarin poisoning symptoms are documented to have done so before the attack supposedly happened. Some of those "early" victims were registered in a hospital 125km (77 miles) away from Khan Sheikhoun. At the same time, the JIM probe mentions that well-equipped people wearing chemical protection suits made outside Syria almost immediately appeared at the site of the alleged attack, but acted "quite unprofessionally." No explanations have been given as to why children who allegedly suffered from the sarin attack had dilated and not constricted pupils, Russian experts noted, saying that while the latter symptom is characteristic of sarin poisoning, dilated pupils point to the use of a psychotropic substance. "No criminal court would have considered such an 'evidence base.' For some reason, such a simplistic approach is widely perceived as the norm by many in the international arena," the Russian statement concluded. 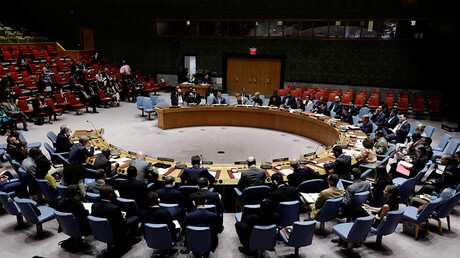 In October, Moscow vetoed a UNSC resolution to renew the mandate for the investigating mission in Syria. Russia proposed hearing the experts' findings before voting on a new mandate. Washington insisted the UNSC made a decision on the mission's prolongation before it presented a report, with the Russian Foreign Ministry calling such US demands "at the very least strange."